Samuel Spotts Wassell, born May 2nd, 1854, was an amateur baseball player for various Little Rock clubs during the 1870s, most notably the Little Rock Accidentals. Samuel Wassell was the son of John Wassell, an English-born lawyer who became mayor of Little Rock in 1868. Like his father, Samuel Wassell later became a lawyer, attending both St. John's college in Little Rock and Cornell University in New York. 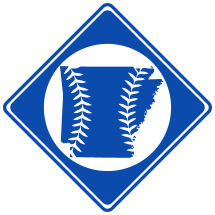 In 1869, Wassell began playing baseball for Alert Base Ball Club of Little Rock at only age 15. He later played for St. John's College campus baseball teams, and in 1875, joined the Little Rock Accidentals. His brother Albert also played for the club. Wassell married Elizabeth McConaughey on April 8th, 1878. They had four children, including Samuel Wassell Jr, who was mayor of Little Rock from 1947-1952. Wassell died December 24th, 1904.